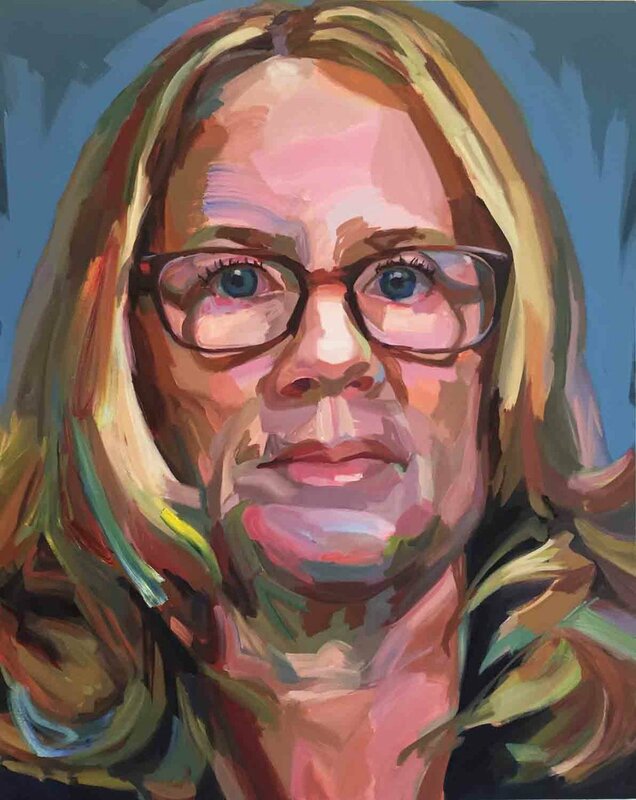 Persisters is an ongoing series of large-scale portrait paintings representing trailblazing women in their pursuit of justice. The women featured are modern, complex, and as tenacious as they are valiant, challenging the present political climate with renewed energy in this particularly arduous time for women. I wish to represent them as the multi faceted leaders they are by focusing on the psychological aspects of each woman while recognizing their courageous stance in the modern political sphere. As a whole, the series approaches politics from a humanitarian angle, which I feel is inherently female. 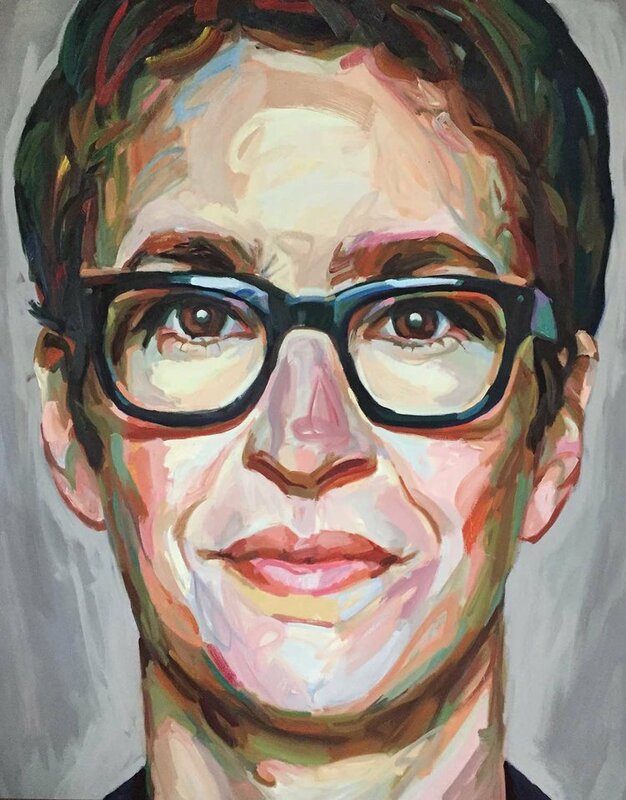 I make large-scale formal portraits in an effort to magnify and honor the endeavors and accomplishments of these female champions in the way that white men have been revered for theirs throughout the history of portraiture. 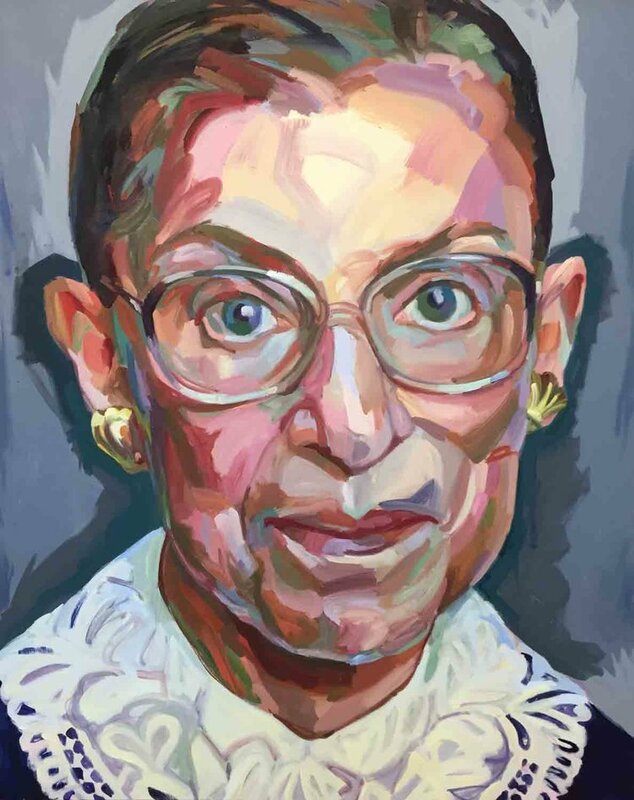 Each portrait serves the purpose of keeping these women prominent and recognized, but also represents my own personal navigation through the modern political climate.